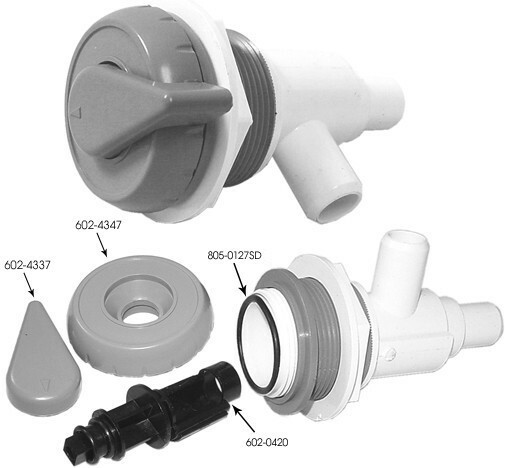 Replacement on/off valve handle for the valve found in many hot tubs with multiple pumps and a high number of jets. Fits Waterway part number 600-4757 and others. **Only compatible with 1" Notched cover (part number 602-4347). Will not work with other covers or the 2" diverter cover valves. Image is to show front and back of handle, price is for one.